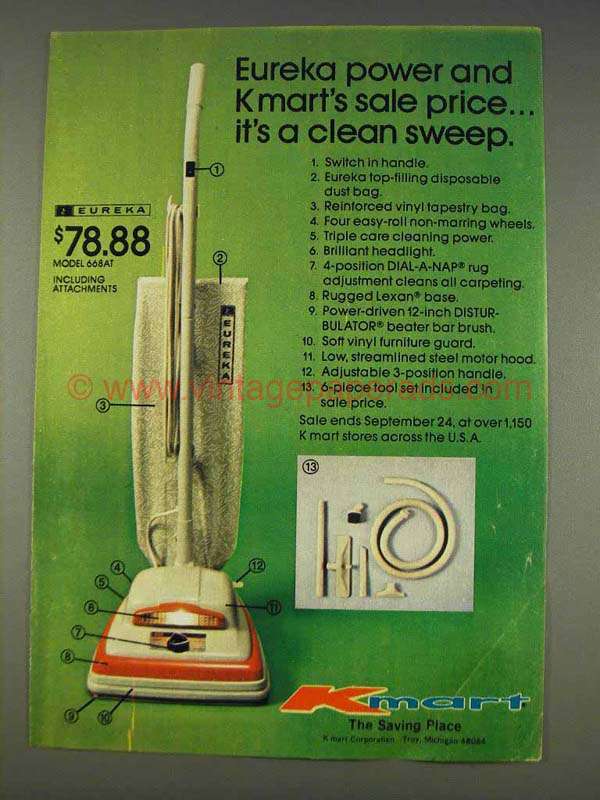 This is a 1977 ad for a Kmart Eureka Model 668AT Vacuum Cleaner! The size of the ad is approximately 5x7.5inches. The caption for this ad is 'Eureka power and Kmart's sale price... It's a clean sweep' The ad is in good overall condition, with a 2-inch crease in the lower right. This vintage ad would look great framed and displayed! Add it to your collecction today! 1990 Eureka The Boss Vacuum Cleaner Ad - The Boss cuts cleaning time in half!